Rumors about iOS and Android Wear compatibility aren't uncommon, but a new report says the day might come soon when anyone can receive iPhone notifications on their Google-run smartwatches. 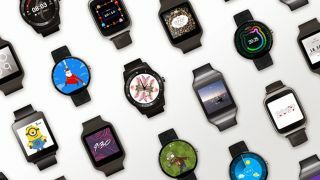 In fact, Google is "close to finishing the final technical details" needed to bridge the gap between iOS and Android Wear, reports The Verge. The site spoke with "a source close to the development team" who revealed tons of details about the pairing. Apparently the currently in-development version of Android Wear works with a companion app on iPhone to receive notifications from FaceTime, messages, calls and more. It can also display info from Google Now cards, just like on Android, and may include more advanced functions for Google-made iOS apps like Gmail. The obvious hurdle is whether Apple would let Google launch this companion app on iOS, given the imminence of the Apple Watch. But neither Google nor Apple seems to want to talk about the possibility of Android Wear and iOS playing nice together just yet, so for now all we can do is speculate.